Participants with the most streets owned will win. 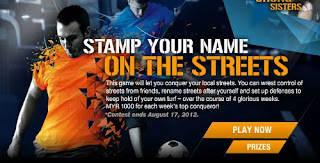 Visit Tiger Street Football website for more details. Sing this "My Hometown Adventure" song from your PC... Then see your face appear on screen!